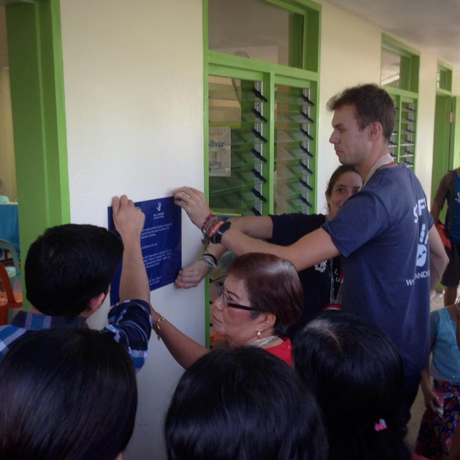 The presence of All Hands Volunteers was perceived and welcomed in Leyte and Samar immediately after typhoon Haiyan, and they have remained here in our parts all this time. 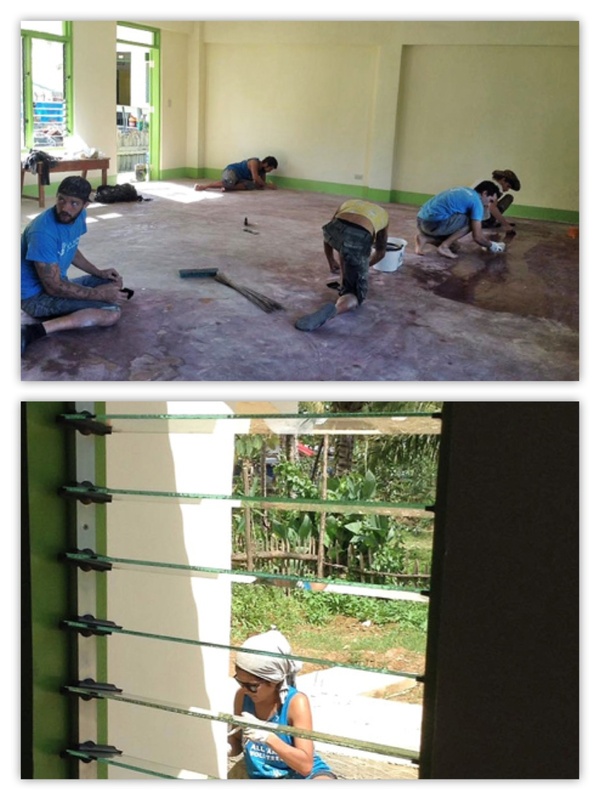 As of today, they continue to build school buildings, school playgrounds and shelters for disasters as well as assist other NGOs with projects where their help is needed. We who are recipients of said projects of course, remain grateful. 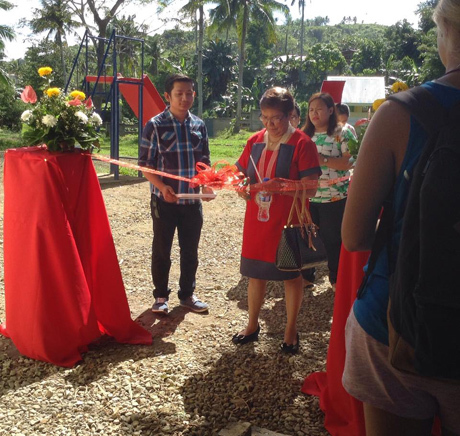 Last Friday, they were able to hand over a classroom building in Barangay Camansihay near the San Juanico Bridge area for the elementary school there. For good measure, they threw in an extra play ground slide, see-saw and swing set for children to spend time with during break hours. The turn over for the project was conducted on Saturday, February 6, 2016 and it was a joy to have witnessed this event. 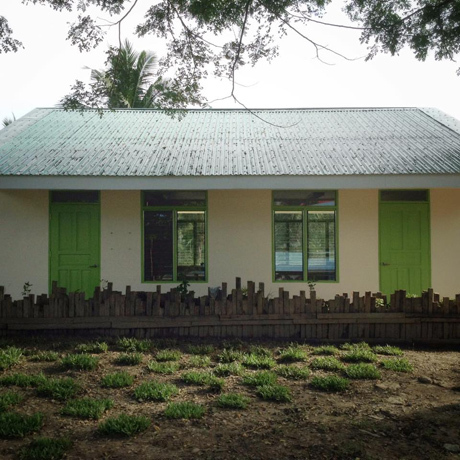 The building is made of quality materials, design and engineering and is typhoon resistant. 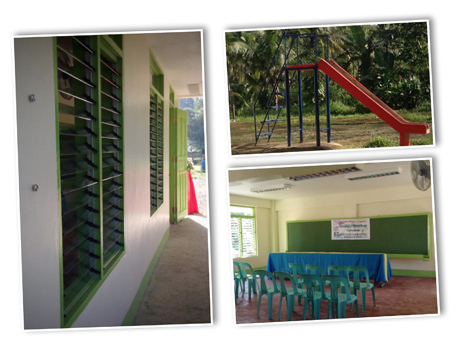 The teachers and students were elated to have received this gift from such selfless people. The District School Superintendent cuts the ribbon. With Rory Thor Dickens as the project manager and Martina Manna as the project leader, along with the very valuable volunteers of All Hands, this project took flight and was completed within 12 weeks. Rory and Martina attach the plaque of recognition on the bldg. wall. 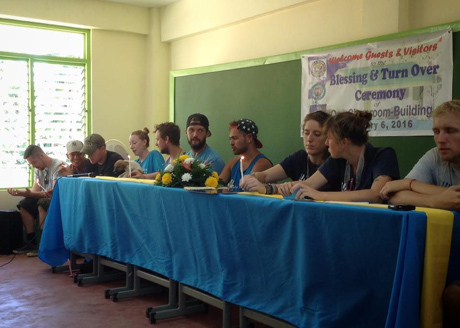 Our generous All Hands volunteers and aid workers during the ceremony. 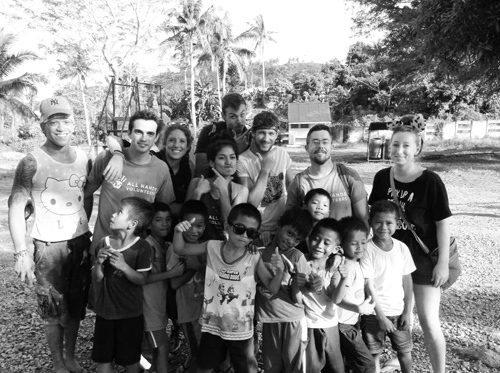 It was said during the ceremony that the victims of the devastating typhoons (Haiyan and Ruby) became despondent because of the magnitude of these disasters, however, the NGOs with their volunteers gave them hope. On a personal note, seeing these volunteers give of their time and effort and their currency of heart and soul, that indeed made me think, "If they aren't giving up on us, who am I to give up?" The legacy they leave behind won't be limited just to the structures they have built; the indelible mark of hope and inspiration for others to be selfless and the lives they helped rebuild will also resonate for generations. Thank you All Hands !